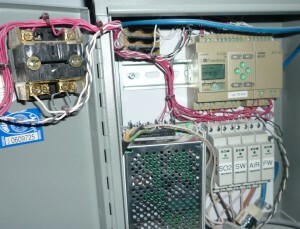 Programmable Logic Controllers, or PLC’s, are basically a small computer with usable inputs and outputs. A PLC can be used to replace a set of relays, both time delay and regular, using counters and timers with input filtering and control. They typically run on ladder line programming (developed to let engineers and technicians use them without extensive programming knowledge) along with a graphic interface for ease of use. The real advantage of a PLC is flexibility and reliability. NTS Tempe is able to incorporate all of our customer requirements into one unit via a control point on a laptop and make changes on the fly. The NTS PLC is composed of an OMRON ZEN microcontroller on an open board with solid state relays and terminal strips. The OMRON PLC has up to 6 transistor outputs good to 32VDC 10A, more than enough to either control things directly or drive an SSR (solid-state relay). It has up to 12 inputs 0-32VDC on the base unit that can be either positive or negative, and doubled with expansion units. In one scenario, our team needed to control a hydraulic cylinder to preload the test item, start vibration for a set amount of time/number of cycles, then release the preload and repeat a specific number of times. In this instance, the PLC controlled the timing of an analog signal directly to the shaker amplifier and provided step signal attenuation on startup to avoid excessive shocks to the test unit from the shaker. A hydraulic cylinder was driven through an SSR and hydraulic valve. The goal was to preload the unit to a specified amount measured with a load cell. We simply adjusted the pressure with a precision hydraulic regulator to get the required force. The shaker was then started and ramped up to the required levels, measured again with a load cell, held for a set time, then ramped down and stopped. We then depressurized the hydraulic cylinder and unloaded the test unit. After things had settled down, this sequence was repeated a few hundred times keeping a count of actual cycles. Using the PLC made all of this relatively easy. In another instance a PLC was used to replace the entire control system in a liquid to liquid thermal shock machine. It controlled the movement of test items from hot to cold and back and monitored sensors indicating when test items were all the way into a tank or one of the drip positions ensuring that nothing was get out of sequence. For ease of setup, external solid state timers set tank hold and drip periods driving the appropriate inputs of the PLC. A Watlow F4 controlled tank temperatures. In event of an error, the PLC would stop the test and initiate removal of a test item from the tank, then hold it in a neutral position. 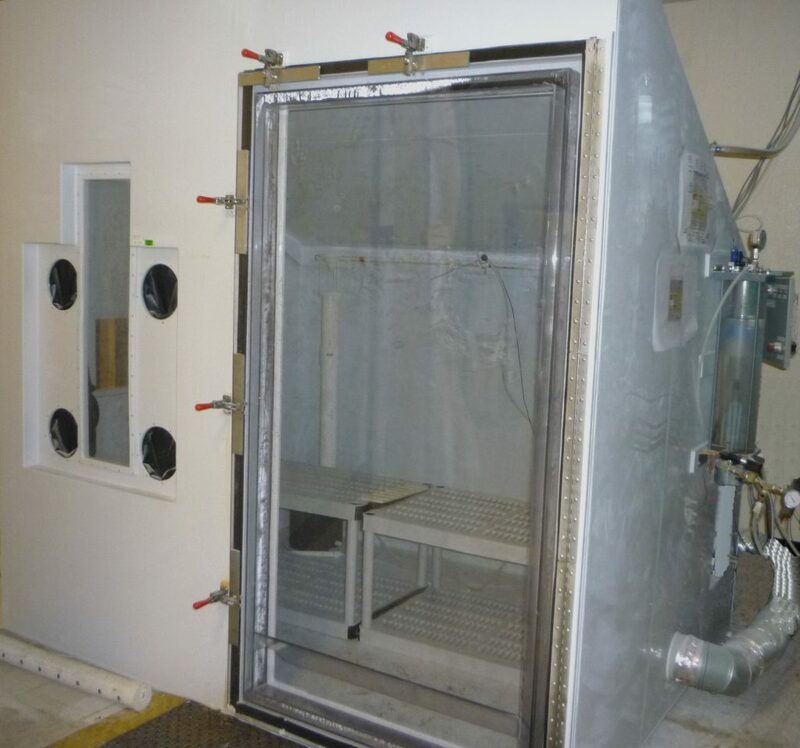 A final example has the PLC controlling all functions in a large salt fog chamber equipped with sulfur dioxide gas. It monitors salt and fresh water levels and fills the tanks from reservoirs as necessary. It also controls air flow to the salt fog towers ensuring air and SO2 are shut off during the fresh water bubbler fill. The PLC also acts as an interface between the Watlow F4 that controls temperature and SO2 cycles and the rest of the chamber. This allows the low level signal from the F4 to also control the system and shuts off the SO2 flow if the temperature goes out of tolerance, the salt fog chamber experiences an interruption or alarm. 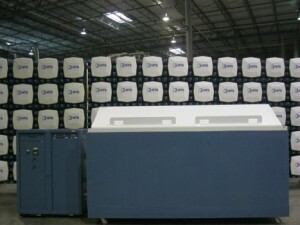 NTS Tempe has seen much success using PLCs instead of conventional relays and timers. We recommend that if you have an older piece of equipment to update or need a custom setup, you consider using a PLC instead of traditional equipment. It gives a degree of flexibility along with control and safety that is sometimes difficult to obtain.